At ServiceMaster Clean of Victoria we offer a variety of commercial cleaning services that are affordable, thorough and eco-friendly. Our highly trained, thoroughly screened cleaning crews are dedicated to going above and beyond expectations. We know your facility doesn't just make a statement to your staff, it is your statement to customers, guests and the outside world. Through communication and teamwork, we clean your office exactly the way you like, day-in and day-out. Using the latest methods, equipment and technology, we do the job right the first time. Special programs and direct access also guarantee that should a problem arise, resolution is swift. We also provide specialize commercial carpet cleaning and upholstery cleaning services. Your carpet and office furnishings are often the first impression you make when someone first walks in your office. We can help make sure you look your best and maximize your carpet and furniture investment. We have the experience and most advanced methods and materials for cleaning and maintaining your carpet’s appearance and your company’s image. 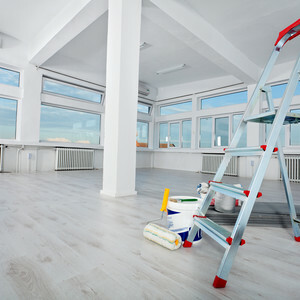 That’s why thousands of businesses depend on ServiceMaster Clean for commercial specialty cleaning needs – a service that goes far beyond the expertise of ordinary janitorial service. Our programs for continued care use innovative products and techniques along with the manufacturer’s latest care instructions to extend the life of your carpet and keep it looking clean and fresh. We help prevent soil from building up in the carpet fiber base and avoid the dull, lifeless look of carpets that are cleaned too infrequently. Routine carpet care also prevents matting, excessive spots and wear, leaving a more consistent and pleasant appearance overall. Enjoy a better-looking carpet all the time and avoid the cost of frequent replacement, all for a low monthly investment. Plus our clear, manageable fees eliminate surprises or increased costs from one cleaning to the next. Contact us today for a free analysis.